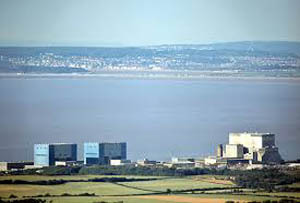 The Chancellor is offering a £2bn loan guarantee in a last-ditch effort to get nuclear power in the UK back on its feet. The announcement from gorgeous George - made during a trade visit to China, conveniently enough - is a last-ditch response to the difficulties that the backers of the new reactor at Hinkley Point have been having in raising the vast funds required to get the £24.5bn mega-project under way. Under the new scheme, the UK government will provide loan insurance to the constructors - led by French giant EDF which is itself desperately trying to persuade two Chinese oppos to come in on the deal - in an effort to overcome the funding difficulties which have dogged the plan. (The guarantees mean that in the event of everything going belly-up, investors would have the government’s promise that they would get their money back). It’s yet another indication of just how eyewateringly expensive Hinkley Point is shaping up to be, even at this early stage when not so much as a cubic metre of reinforced concrete has been poured. Chuck in historically low oil prices and the faltering Chinese economy and the whole thing is starting to look pretty groggy. Is Osborne as bonkers as some critics claim for pushing so hard to get the deal through? Maybe not quite - mainly because of the urgent need to keep the UK’s lights on, in which nuclear has a big role to play alongside other renewables. This latest move is as much about persuading the Chinese that the UK is a great place to invest as it is about getting Hinkley Point off the ground. Osborne wants the Chinese to build the next generation of their own reactors here too, as an alternative to EDF's aging EPR technology. Thus perhaps creating a bit of competitive urgency and driving the price down, which giiven that the EPR reactor EDF is currently building at Flamanville in France is £5bn over budget, would be most welcome. In this context the loan guarantees and even that crazy strike price start to look a bit more understandable, if no better value. It’s very expensive pump-priming. But even supporters of nuclear are now starting to wonder at just how much sweetener seems to be required to persuade the private sector to get involved in such big and long-term bets. If only we’d once had a world-leading indigenous nuclear industry that we could have kept up, then we'd be able to do it ourselves. Doh!